Created in 2014, Bitshares is one the of the true blockchain veterans. It was created by blockchain wunderkind and visionary Dan Larimer to facilitate financial transactions and interactions in a decentralized way. This is made possible by the Bitshares decentralized exchange, on which cryptocurrencies can be traded and created. Bitshares is technologically quite advanced, and even has the record for most transactions in one day (920,000 transactions on September 13, 2017). Bitshares has had some trouble keeping up with the recent stream of new crypto blockbusters. Nonetheless, the platform has been operational for a few years now, and it has technical features that are still far superior to those of other blockchains. So what is it that Bitshares actually does, and can these features help Bitshares regain a top position? Bitshares was created to help assist the unbanked, the over 3 billion people globally who don’t have access to financial services. The trustless and decentralized nature of blockchain technology has created an opportunity for the unbanked to access secure storage for their money by essentially becoming their own banks. To create a Bitshares account, all you need is a device which can connect to the internet, and of course an internet connection. 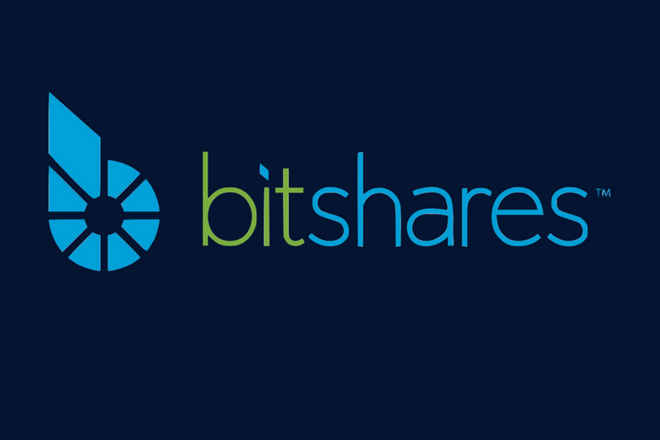 Once a Bitshares account is made, the Bitshares platform provides its users with several financial services. Essentially, Bitshares is a decentralized exchange. 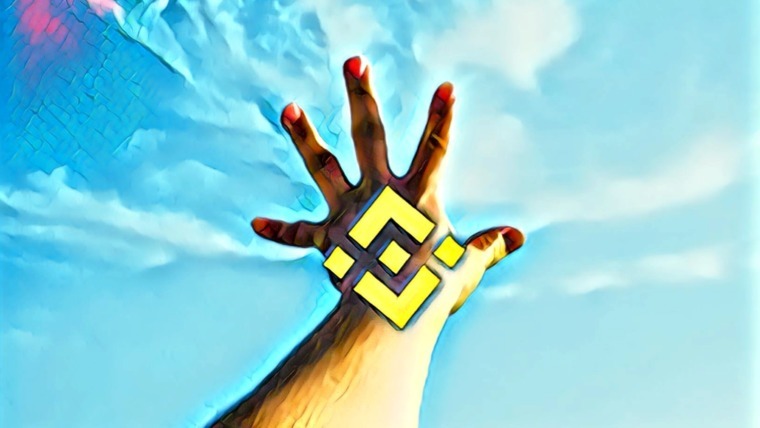 With recent hacks and downtime issues, decentralized exchanges are likely to become more popular, eliminating these threats. Thanks to the use of Graphene Bitshares technology, Bitshares allows for incredibly fast and cheap transactions. Through the use of this technology, Bitshares is theoretically able to execute a maximum of 100,000 transactions per second and has a block time of 1.5 seconds. This is faster by far than, for example, Bitcoin and Ethereum, which can handle about 4 and 15 transactions respectively. The used Graphene tech could make Bitshares even faster than VISA, which can process 45,000 transactions per second. On the Bitshares decentralized exchange, you can trade two types of assets: smartcoins and user-issued assets. Smartcoins are coins pegged to particular value assets, such as commodities and currencies. These issued coins are programmed so that they are always of roughly equal value to the value of the underlying asset (volatility could cause temporary discrepancies). For example, 1 BitUSD will always be equal to the US dollar and 1 BitGOLD will be equal to the value of gold. Buying, selling, and keeping the pegged coins at value is all conducted through the use of smart contracts and by using Bitshares’ native coin BTS for transactions. The cryptocurrency USDTether is well-known for doing the same, and it provides a highly useful tool for taking one’s profits and escaping a potential crash or bear market without moving your money out of crypto. 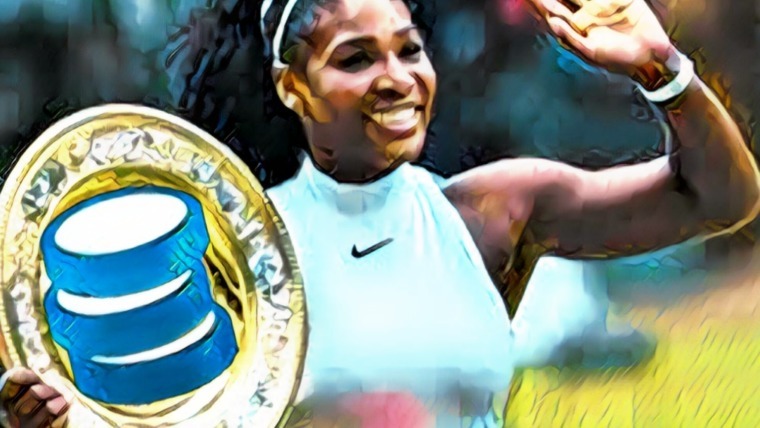 These pegged coins also provide an excellent way of using the speed and low transaction costs of blockchain technology while remaining unaffected by the high volatility of the crypto market. There has been quite a lot of controversy surrounding USDTether because critics claim that there is nothing backing Tether. This is a huge potential problem as every Tether should be backed by US$1. If this is not the case, the over $2 billion worth Tether might collapse, taking a huge portion of the market with it. The pegged cryptocurrencies of Bitshares are programmed in such a way that similar problems can’t occur. All pegged Bit cryptocurrencies are backed by an elaborate system and by the Bitshares cryptocurrency, leaving no room for fraud. For more in-depth information about this, click here. User-issued assets are assets issued by users of the Bitshares platform. Any BTS owner can issue their own asset, and it’s entirely up to them how they structure that asset, what levels of control (if any) they would like to maintain, and what value/how many coins they will ascertain. The best example of how these user-issued assets can be utilized is for crowdfunding a new company. The crowdfunding party can create a coin for the company they’re about to launch, and each coin will represent % ownership with accompanied dividends. The holders of the coin will receive these dividends, but they can also help the company grow and become part of the company. This all depends on the level of control the issuing party wishes to keep. A completely decentralized business can also be created, which is called a Decentralized Autonomous Company (DAC). Bitshares and DACs demonstrate the beauty of blockchain technology and decentralization in its purest form. Bitshares itself is actually a DAC, and the Bitshares platform is programmed in such a way that there is a budget for the workers upgrading and developing the platform. Similarly, user-issued DACs operate on the same principle, and businesses created on the platform can grow organically, funded by the Bitshares community. Community members can even become decentralized employees in the same way that the Bitshares platform works, thus from the total project funding and distributed by the DAC’s programming. Bitshares was founded by blockchain prodigy Dan Larimer. 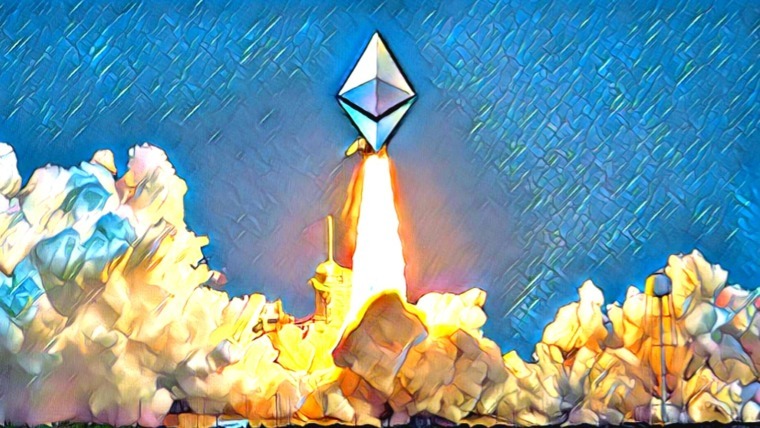 Although Dan Larimer isn’t as well-known as, say, Ethereum’s Vitalik Buterin or Litecoin’s Charlie Lee, he has clearly earned himself a spot among their ranks. Besides founding Bitshares, Dan was also responsible for the creation of the Steem blockchain and is currently working on the highly anticipated EOS blockchain. Besides Dan Larimer acting as Bitshares’ public face, very little is known about the rest of the team, which makes sense as Bitshares is a Decentralized Autonomous Company in itself. 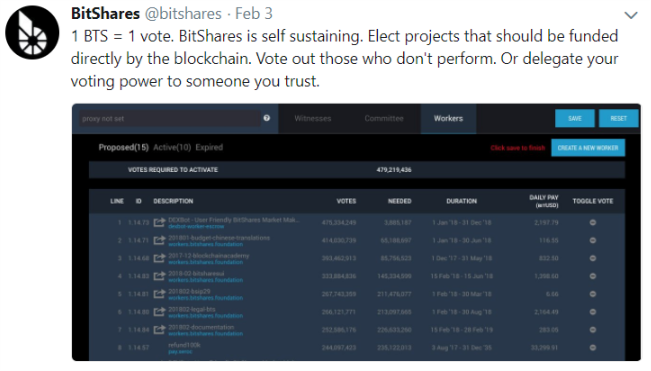 Every user actively participating on the platform through voting, staking, developing, and creating contributes to the development of Bitshares. The Bitshares foundation is an example of how this plays out in real life. It’s a nonprofit founded by active Bitshares community members to further grow the Bitshares platform. 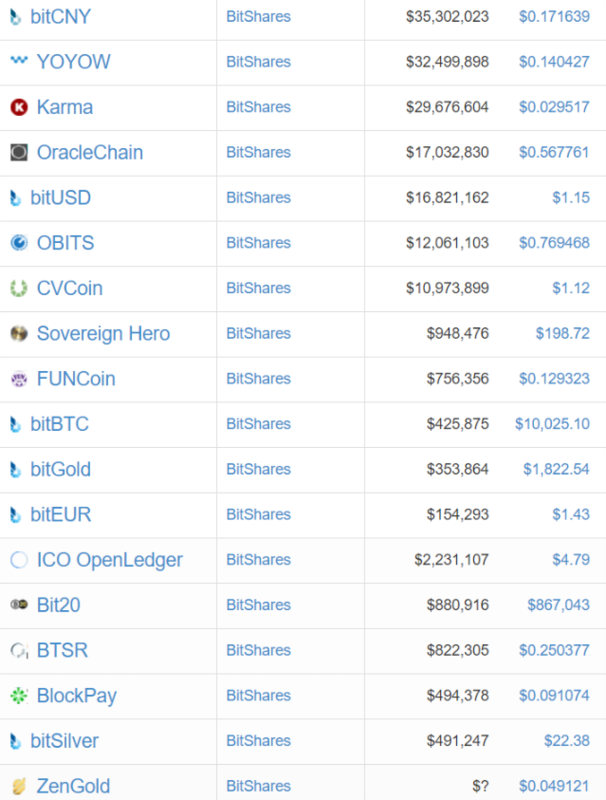 Bitshares is finding itself meeting with competition. The paradox of centralized exchanges in a decentralized industry hasn’t gone unnoticed, and the list of decentralized exchanges is rapidly becoming longer, with the likes of Waves, Komodo, Cobinhood, and many more gaining traction. Additionally, blockchains that allow for applications to be built on top of them are growing in numbers, and even though dapps are different from DACs, they can both be built with the same tools. One of Bitshares’ major advantages in regards to its competition is that it has superior scalability, for now. Another key advantage are the smartcoins of Bitshares, which aren’t widely available on any other platform yet, except for the FUD-surrounded USDTether. Attracting new users and drawing them away from the competition is the main challenge for Bitshares. There have been a notable amount of complaints about the usability of the Bitshares platform, and new users tend to abandon using the platform at all because of this. 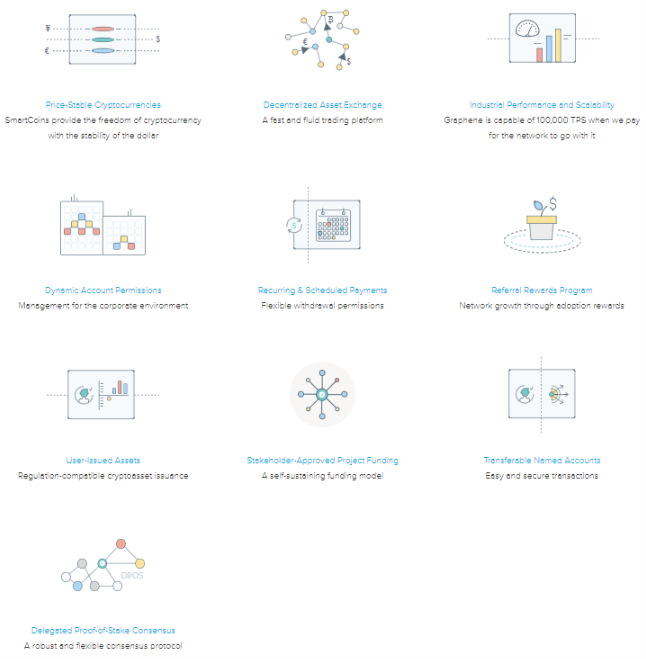 Moreover, Bitshares faces competition from blockchains with the budget for blockbuster moves such as announcements of grand partnerships, intensive marketing campaigns, and rebrandings. How Bitshares is going to deal with this is entirely up to its community. You can store your BTS in the Bitshares wallet or on the Bitshares decentralized exchange. Storing your coins on a decentralized exchange won’t expose you to third-party risks like centralized exchanges do, as you are in control of your private keys and always have your coins in your possession. Bitshares offers a lot of functionalities and can be used for a wide array of purposes. The Bitshares blockchain has been around for over 4 years and has been under constant development. Progress is entirely based on what the users want and has led to one of the most complete platforms in the current blockchain space. It’s incredible how DACs function, and the Bitshares platform itself has demonstrated that a decentralized approach to running a business actually works. The question of whether it will succeed in the long run doesn’t depend on the quality of the platform, which is right and ready, but on investors and blockchain users. 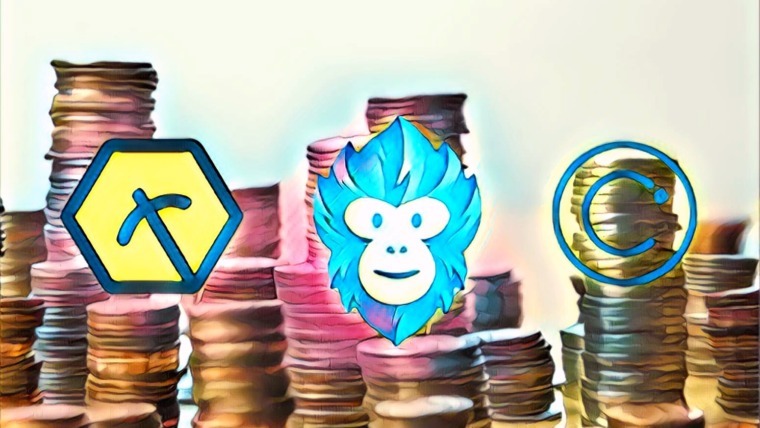 Since blockchain and cryptocurrencies became all the rage, blockbuster cryptocurrencies with huge marketing budgets and impressive partnerships are entering the crypto space. Bitshares is truly decentralized by design, and its success and development depends on its community. Thus, it is up to Bitshares users to come up with a way of keeping Bitshares competitive in the face of its many rivals.